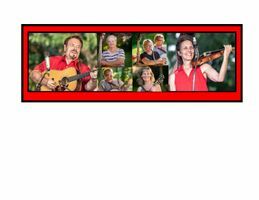 Enjoy an evening of lively bluegrass music with Vernon McIntyre’s Appalachian Grass; lighting fast instrumentals, close harmonies, and entertaining novelty songs. Fibonacci Brewing Company is a mom and pop brewery in Mt. Healthy serving a wide variety of craft beers. Eats available on site. If you like beer, Fibonacci’s is the place to be! Check their website at fibbrew.com/ . Showtime 7pm; admission free.